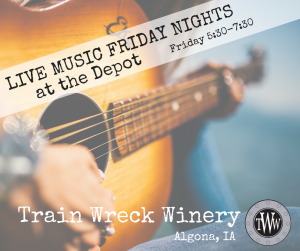 Join Train Wreck Winery for our “Live Music Friday Nights” at the depot. 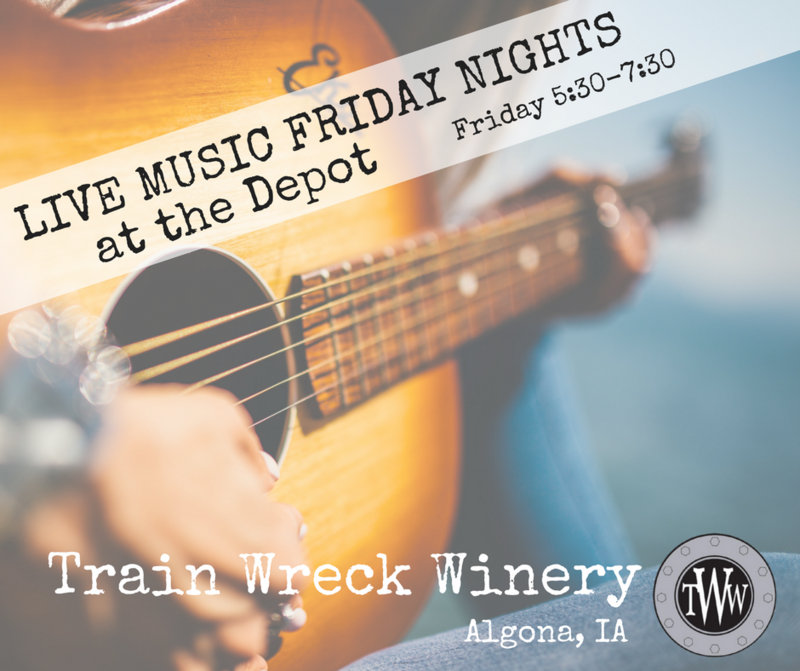 Local musicians play from 5:30-7:30. Come by for a glass of wine before you take your special someone out for dinner!